This boy is a Gorgeous Maroon! Packed with pedigree that is sure to excite! His biopsy speaks for itself!!! 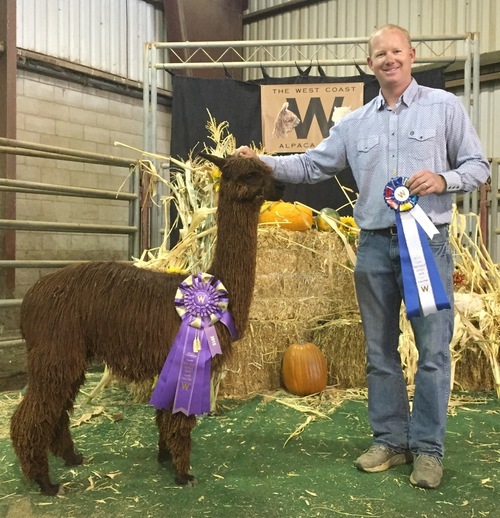 “Rogue Suri Alpacas RGSA Ironman” was biopsied as a 19 month old dark brown suri male with ARI#35244202. His 15x scan shows fiber clusters very uniform in size, shape and placement within his connective tissue. His true density is 79.13 follicles SQ MM of skin and his average S/P ratio is 9.8 to 1 based on 25 fiber clusters. He grades level 4 of 4 gland presence and greater than 90% of his secondary fibers show medullation. Note that many of his secondary fibers are round or cylindrical which is also associated with increased luster. Note on his 250x scan the presence of 4 immature secondary fibers. 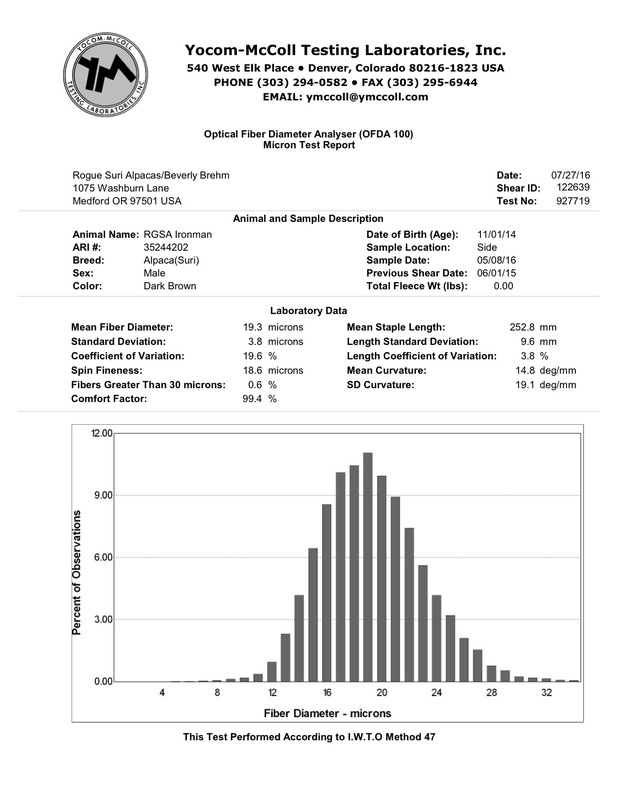 These fibers were included in the S/P average but certainly not measured. 100 secondary fibers average 18.1 microns while 50 primary fibers average 24.1 microns for a variation of only 6 microns. Based on fiber stats Ironman has the potential to be one of the great suri studs for the future. Ironman certainly shows the hybrid vigor hoped for from every breeding and fiber wise his dam’s traits are very apparent as well. On his dad's side, GLR Nico, a 12X Champion Black, a fabulous son of Shavano! 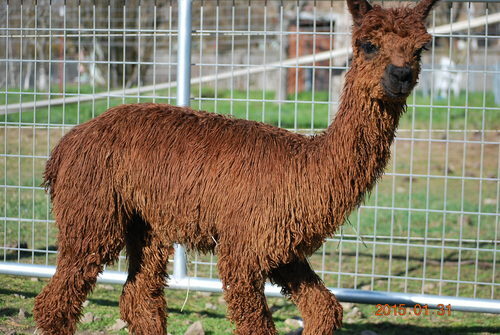 Nico's mom is the product of evoloving elite colored fleeces from beautiful accoyo heritage! On this boys mom's side, another amazing set of animals. Hibiscus is the daughter of the multi-time Herdsire of the year, Chakotah. Her Mom is no slouch either winning a Reserve Champion at Futurity and one of Amanda Vandenbosch's foundation Suri females! If you are looking for an amazing pedigree animal, this boy is just rocking! A true Herdsire in the Making! 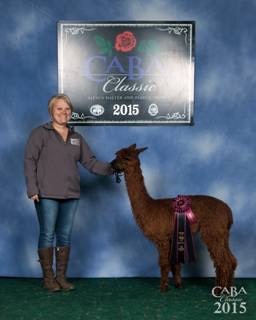 2nd Place CABA Classic 2015 Class of 4!